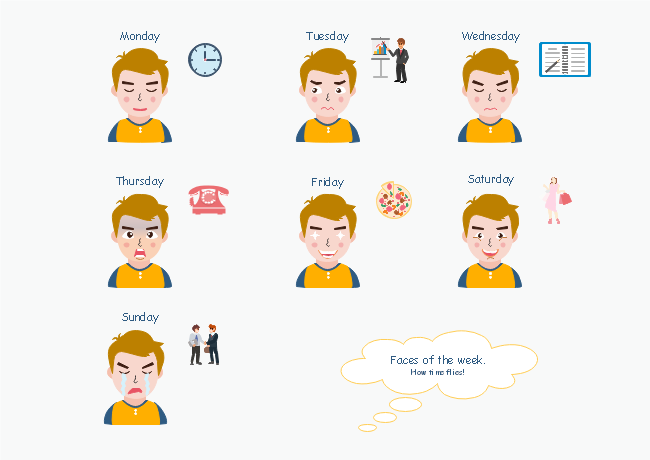 Description: Attracted by the interesting Faces of the Week infographic? With the help of Edraw clipart software, you can create such funny and cute infographic with no drawing skills required. Free download the software and try the abundant symbols and templates to see how quick this could be. Make full use of the color, line, foliage and facial expression cliparts to create stylish emoji stickers. Edraw built-in facial expression cliparts give you inspirations and an easy start. A free customizable infographics template is provided to download and print. Quickly get a head-start when creating your own infographics.